Earlier this year, we got in touch with the good people over at 3DP4E (http://www.3dp4e.com) because they were planning on testing out their 3D printing capabilities based on the work of comic artists. 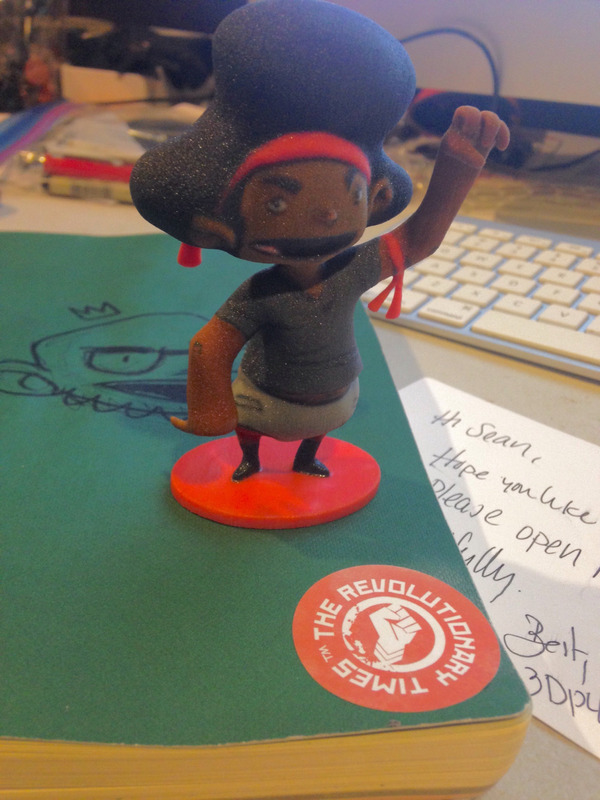 So we thought it would be cool to send him an old drawing of ‘Bas to test. Months went by and we never heard word back so we kind of forgot about it. That was until they gave us a call earlier this week and said we should expect to see something in the mail. And low and behold this was what it was. Now don’t get too excited. This isn’t something that’s about to be sold. But if we can get some things tweaked and figure out how to do so we’ll definitely think about RT statues in the future. So who knows. But for right, take this a glimpse of a possible future.